Posted in: Games, MMOs, Opinion. 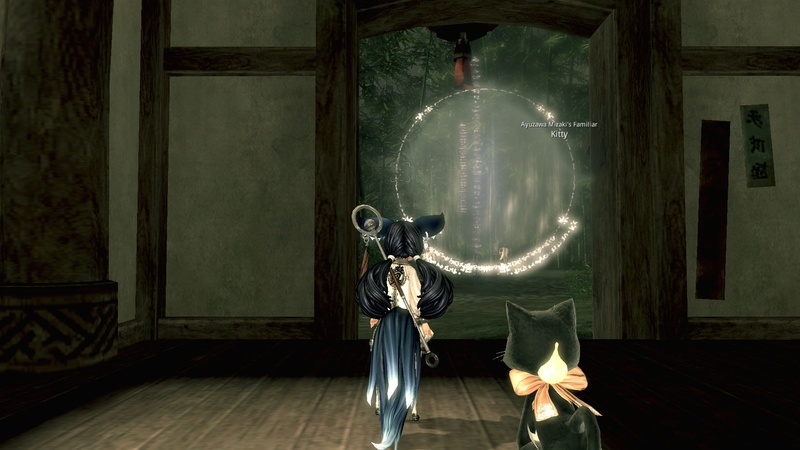 Blade and Soul has just opened it’s doors in North America from NCSoft. 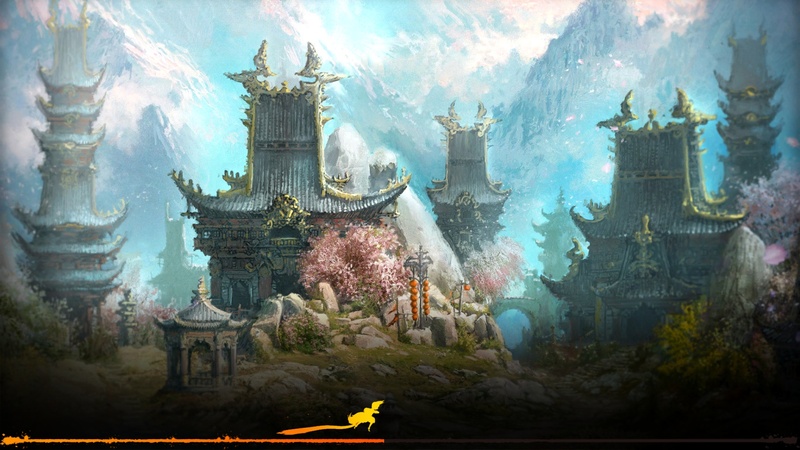 It’s a martial arts MMO in the style of Jade Dynasty of a few years ago. This is not a full review. Those are available elsewhere, I’m sure. But these are some first impressions comparing this game with others that I play and like. The first impression is pretty good. The game is Free to Play and the graphics look very good. So those looking for Martial Arts with modern graphics, then you may want to try this one. Jade Dynasty is looking quite dated by now, but this game looks much better. As you can see, it gets high marks for Cuteness. One of the races is very like the Tera Elin, but with both Male and Female genders. And this race can play the Summoner class that has a pet. You get your choice of kittens as pets. I haven’t done the research to see if more pets come later or if you can tame them in the wild. As you can see there are other choices for your toon. The Gon female is quite attractive. But the models lack the detail realism of Tera. The hair especially looks like plastic. But there are many more options for faces and it’s easy to get a distinctive look without resorting to the many detail sliders provided. Of course one of the hallmarks of Free to Play is “Dress Up”. So costumes abound, but not only in the Store, but also some are available in-game. There is a very convenient Dress Up panel to see and try on costumes. But the downside of Blade and Soul is that the game has apparently been written by a group who has not been paying attention to what has been happening in the MMO gaming world. Over the past few years, the complexity has been worked out of games. Long complicated Skill Trees, Glyphs, Talent Trees, and the difficulty of backing out of a choice made yesterday have mostly been removed from the popular MMOs. World of Warcraft has greatly simplified their Talent trees, and removed skill trainers. You can now change talents at any point and switch been Specializations at any time out of combat. 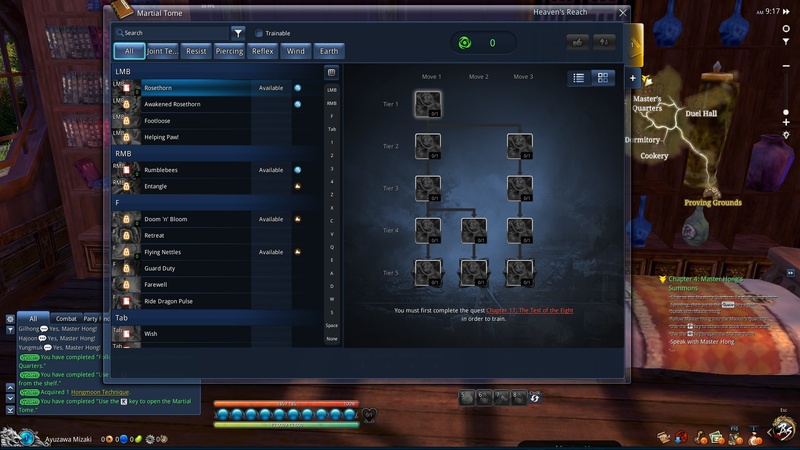 Guild wars has simplified talents, made switching easy, and made skill points much easier to get. Tera has simplified glyphs, removed skill trainers and made switching builds easy, with as many builds as you could ever want that you can switch at any time out of combat. We’ll see if they learn that this is unnecessary and simplify it. This nonsense is basically a show stopper for me. At this point I have other choices that are fun to play as well as free to play, so I no longer relish needless complexity in the game mechanics. Tera had a complicated weapon progression and enchantment systems that was holding folks back from progressing in the game. They added “Avatar Weapons” a couple of years ago that are given to you automatically every few levels, and made Enchantment easy and quick so it’s easy to have fully enchanted armor and weapons at all times. The Avatar weapons have a high Critical Factor so they do about double the damage to foes of about the same level. So basically, you always have powerful gear as you level up. No muss no fuss. 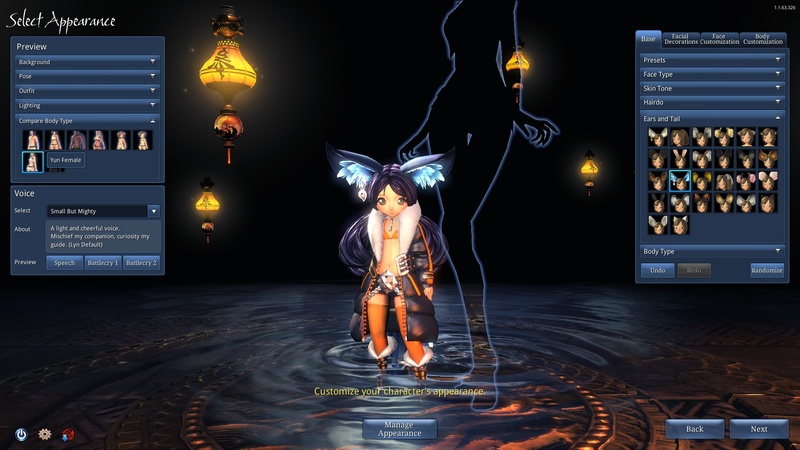 In contrast, Blade and Soul looks like Muss and Fuss are the goal of the design. The starting area story is very dark. Apparently a former student of the Martial Arts school has returned with some henchmen to steal the powerful weapon of the master. All the school is killed, including the master. Only you are left alive. I don’t have anything against this dark story line. But starting story can’t decide whether it wants to be a movie or a game. It’s mostly movie actually. Contrast this with the new revamped Tera Step Stone Isle starting area where there are a few cut scenes, and a dark story, but mostly it’s game play not video. 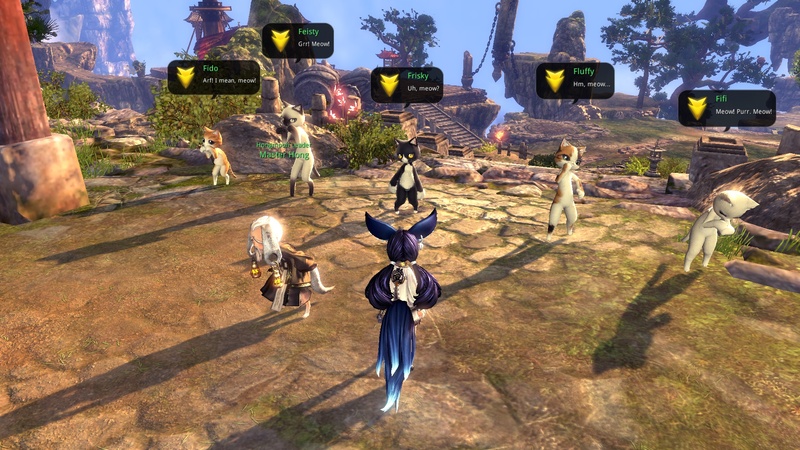 Blade and Soul has video / voice acting that takes over on each quest. I’m not sure if this continues beyond level 5, but it’s pretty cumbersome. I’d rather just some quick text and remove that HINT from the center of the screen, or allow me to, so I can see the game play. There are instances in the game, apparently. They occur during your quests where you are invited to enter a building or a cave. There is a little pause as you step through the shining curtain. Clearly this is the game entering or leaving an instance or changing zones. Not sure why they want instances like this in the starting area, which is already a one-player instance. But it occurs later after you see other players. The beach fight with the pirates is not an instance, but entering some of the buildings or leaving the zone clearly is a zone or instance change. I don’t really mind these, but they are different from any other game and occur more often than one would expect. Wake up Cricket. 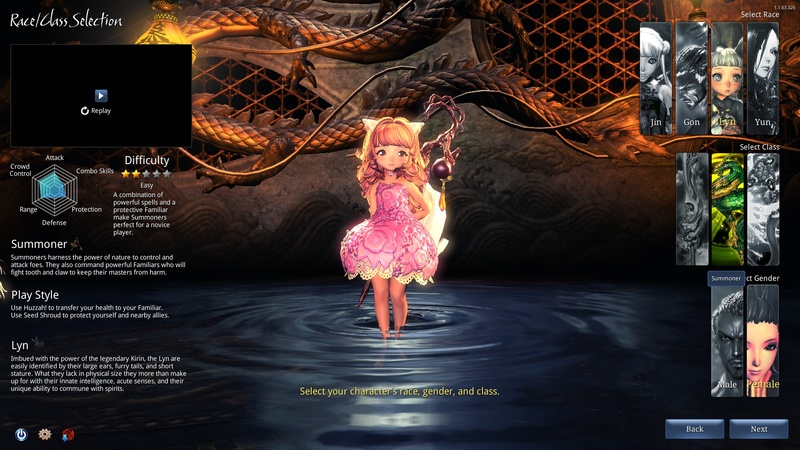 Give Blade and Soul a try if any of this sounds interesting. It will take an hour or two to install it. I suggest C:\NCSoft\BladeAndSoul for a path rather than the default. Meanwhile, look for me playing Guild Wars 2 where I’ll be exploring all the maps or on Tera where I’m waiting on the new Elin Ninja Class to arrive in March. I’ve already got a couple of Brawlers and Gunners to level 65 over there.